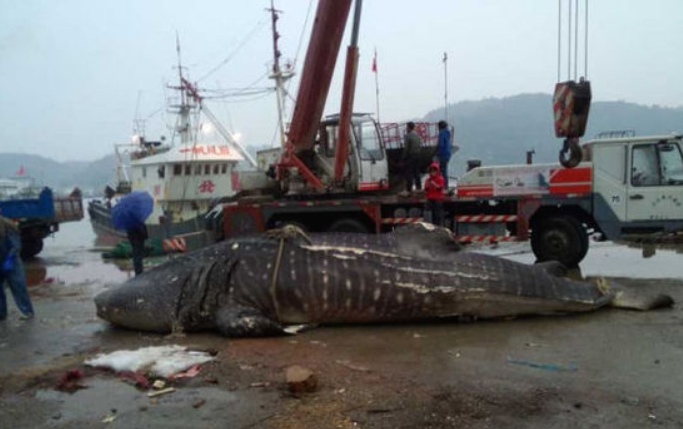 2 On August 1, 2014, Shishi, Xiangzhi town, in Fujian Province, local fishermen accidentally found in their nets a giant whale shark. 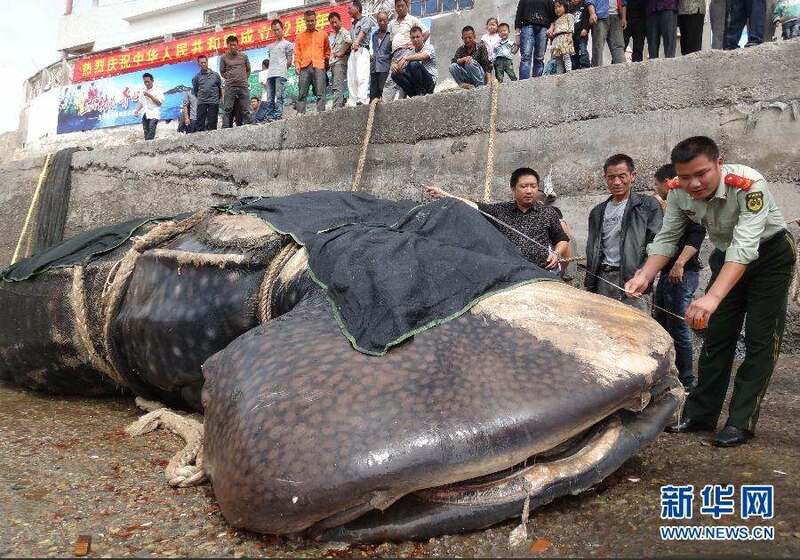 On August 1, 2014, Shishi, Xiangzhi town, in Fujian Province, local fishermen accidentally found in their nets a giant whale shark. 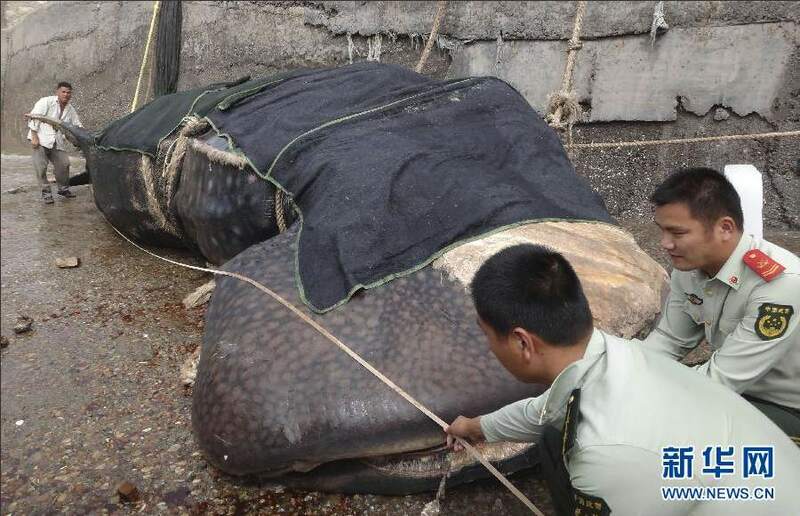 The whale shark died shortly after in the boat. 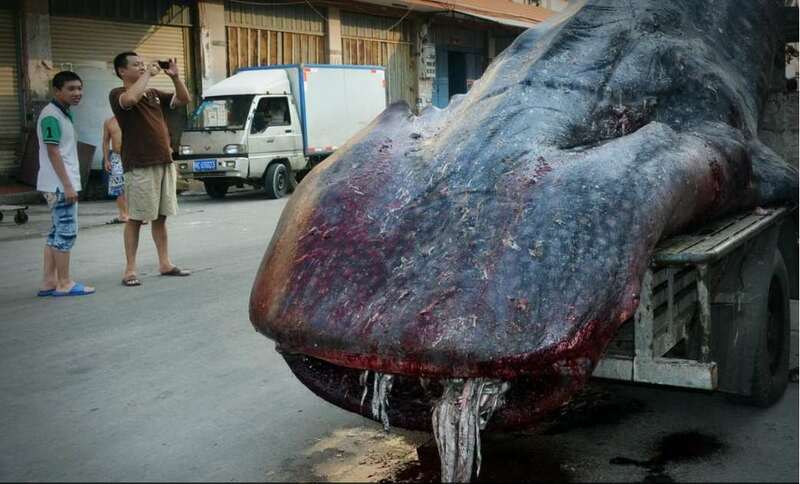 The animal was 5 meters in length, weighing more than 2 tons: his mouth was full of fishes. Captain Choi wanted to sell it for 10000-20000 RMB. 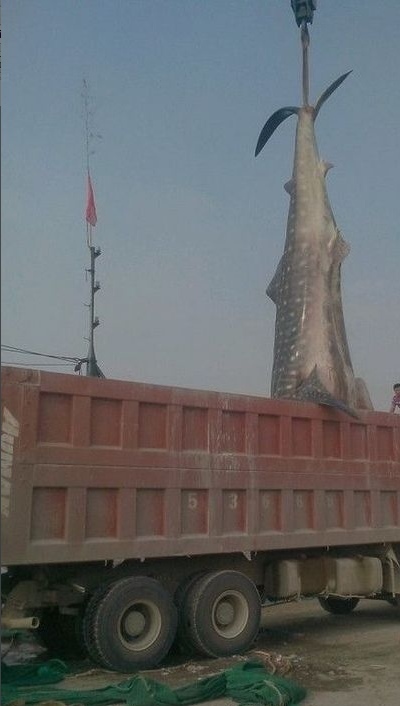 Shishi City Ocean and Fishery Bureau of Marine Fisheries enforcement brigade said the whale shark meat can’t be traded, since the animal is an endangered specie. 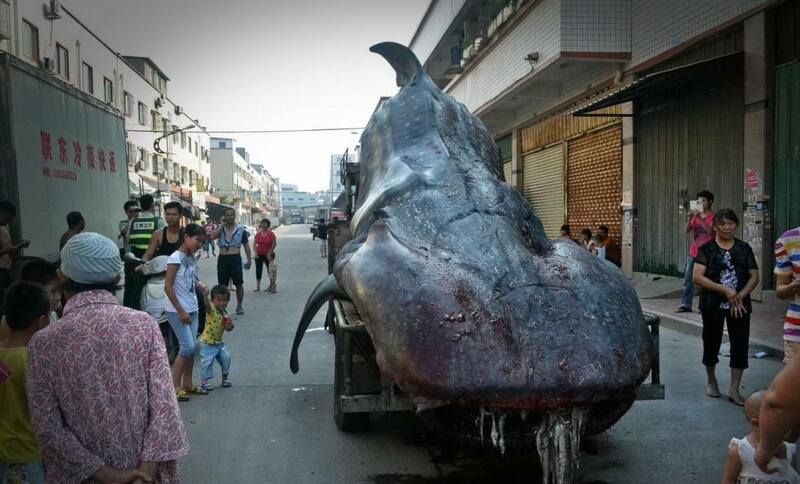 Xiangzhi police station received a phone call reporting about a “sea monster” sold in the market. Police said when they arrived on the scene, they believed to see a real monster. 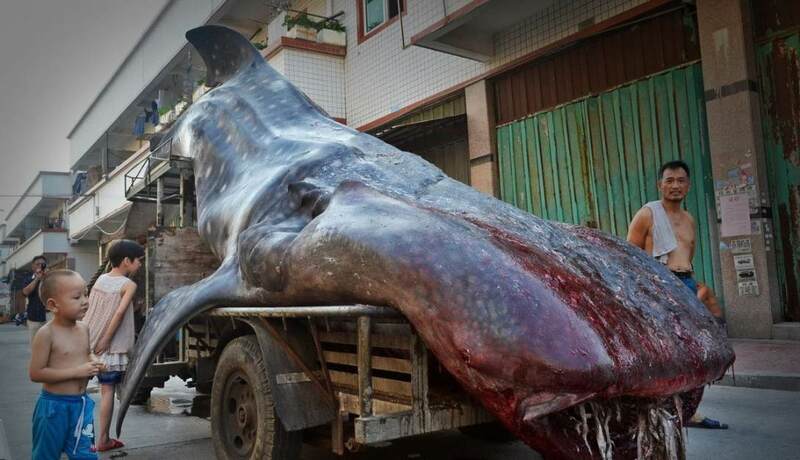 According to the “South China Morning Post” whale shark is listed in the appendix “Convention on International Trade in Endangered Species of Wild Fauna and Flora”: China as a party to the Convention, has to protect aquatic wildlife. 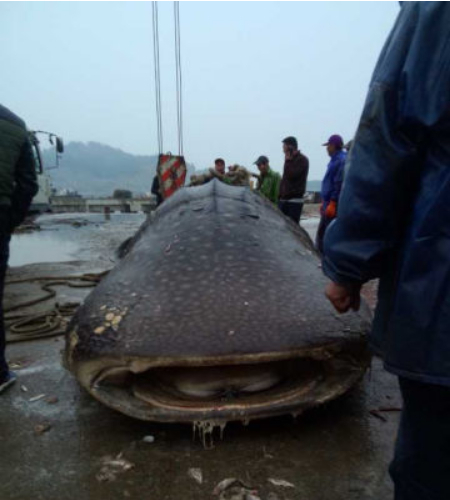 This is not the first time Xiangzhi’s fishermen caught a whale shark: on March 2009, Xiangzhi fishermen in Shantou, Guangdong waters, found one of 8 meters long and weighing 2.5 tons. 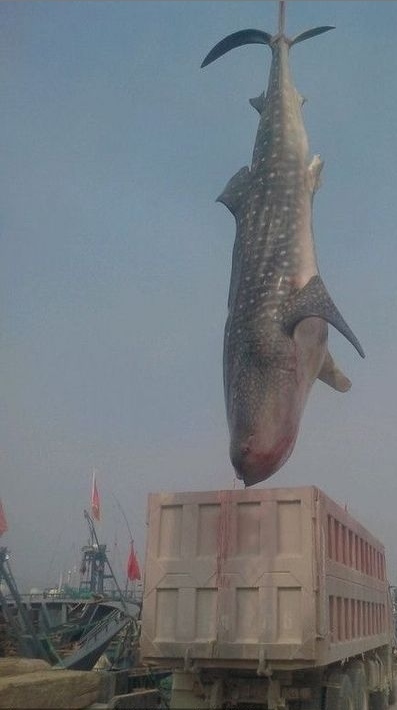 In this year, there were also other places where fishermen had caught whale shark. In that case netizens called the News Hotline 22200000. 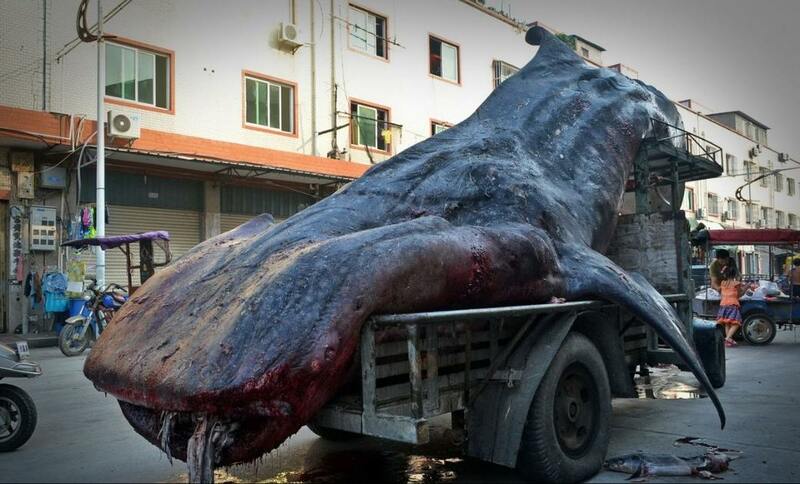 Once again, people at the wholesale market were afraid of the “sea monster”, because of its white dots on the skin. That time they tried to sell it from around 13000 RMB. Fishermen were sailing in the waters of Shantou, Guangdong. Around 5 o’clock PM, the boat accidentally discovered this big whale shark. 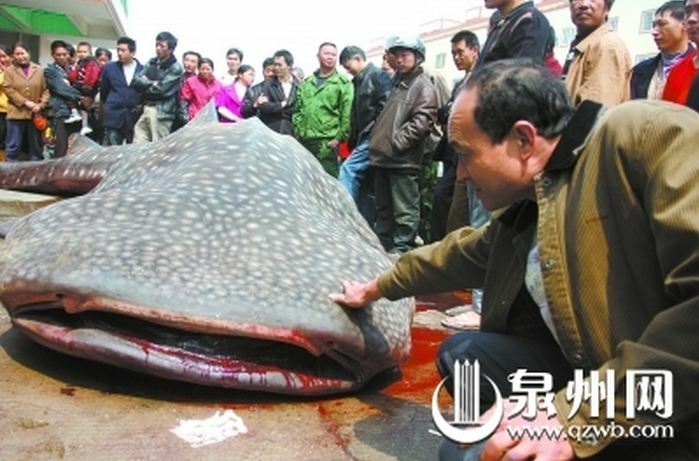 On March 27 Hangzhou, Zhejiang 2014, some fishermen fished a 10 meters, 5 tons whale sharks that died soon after. They quickly sold its meat at high price. 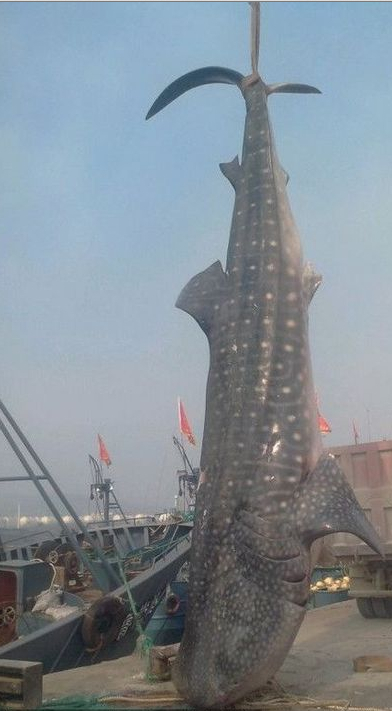 On September 8, 2013, Rizhao City, Shangdong, a fisherman catched a whale shark measuring more than 10 meters, and weighing 2 tons. 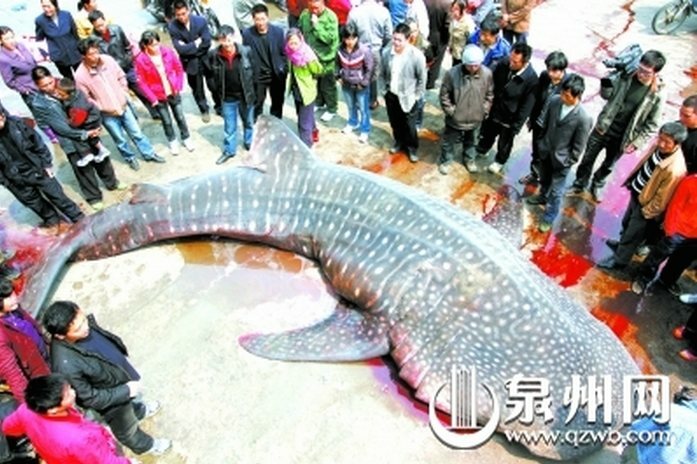 On October 2011 a whale shark die by suffocation in Taizhou, Zhejain, not far from Hong Hong border. The whale shark was around 11 meters and 5 tons.